During the fall and winter months, this area offers prime South Dakota pheasant hunting. Whitetail and mule deer, grouse, prairie chicken, goose, and coyote are also popular with our hunters. You can make us your hunting headquarters. Our hospitality, accommodations and habitat resources combine to provide your party with a memorable hunting experience. We are located on the bluffs overlooking Lake Oahe, 40 minutes north of the State Capital of Pierre. Our guided pheasant hunts utilize private farm and native grasslands located just two miles from the Resort. The habitat is managed to hold abundant game. Our food plots contain corn, sorghum, milo, sunflowers, tree strips, creek bottoms and CRP. Close by are acres of public hunting areas of prairie grasses, yucca and native shrubs. Our guides are experienced, friendly and have excellent dogs. We will clean and package your birds, and transport your group the short distance to the fields. Our cabins provide plenty of space for sleeping and relaxing and cooking if you prefer. Panoramic views of Lake Oahe can be enjoyed from cabin decks. We serve a hearty breakfast, lunch and mouth-watering suppers. Pike Haven's cuisine is coveted and award winning. 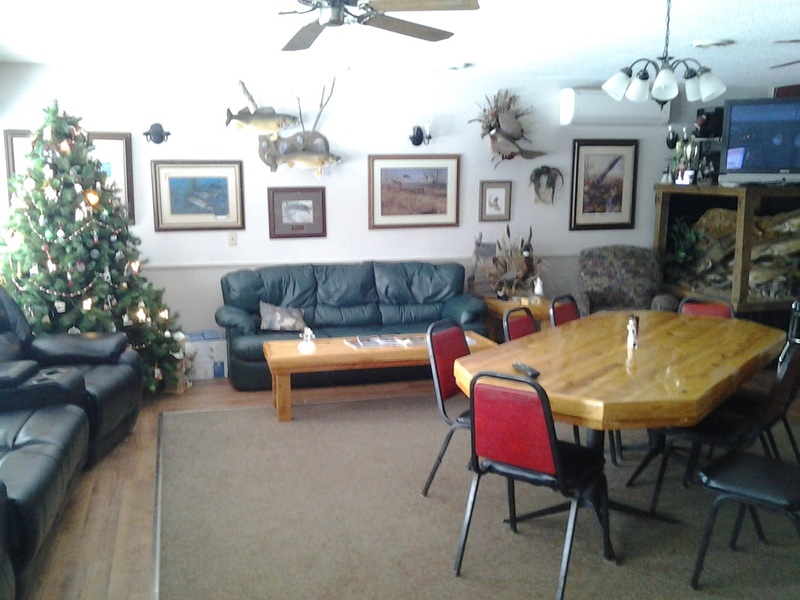 A family-style setting is most popular with our hunting groups. 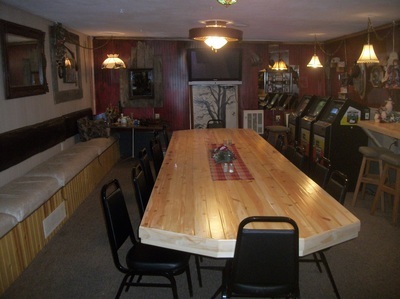 Spike's lounge is stocked with popular spirits, features wide-screen television, game room and free internet access. Your needs come first. The Hunter's Lounge offers a comfortable retreat after the hunt. We offer a range of hunting packages to meet your needs and budget. You'll get great hunting venues, hospitality and accommodations with each of our packages. We will also customize any standard package to your satisfaction. Give us a call. For more information on these hunting packages, or to make a reservation, call 605-264-5465. Included are hunting guides and dogs, bird processing, premium lodging, three meals per day and field transportation. Do you want to experience Lake Oahe walleye fishing along with your pheasant hunt? We call it Blast and Cast!